evo Calm Before The Storm Print by Eric Pollard 20x30"
evo Calm Before The Storm 20"x30"
The evo Calm Before The Storm is an evo-exclusive print of the original painting done by Eric Pollard. The print commemorates evo’s partnership with Eric as well as years together skiing and sharing the love for it. Both evo and Eric are working together to keep skiing progressive, fun, welcoming and simply awesome. 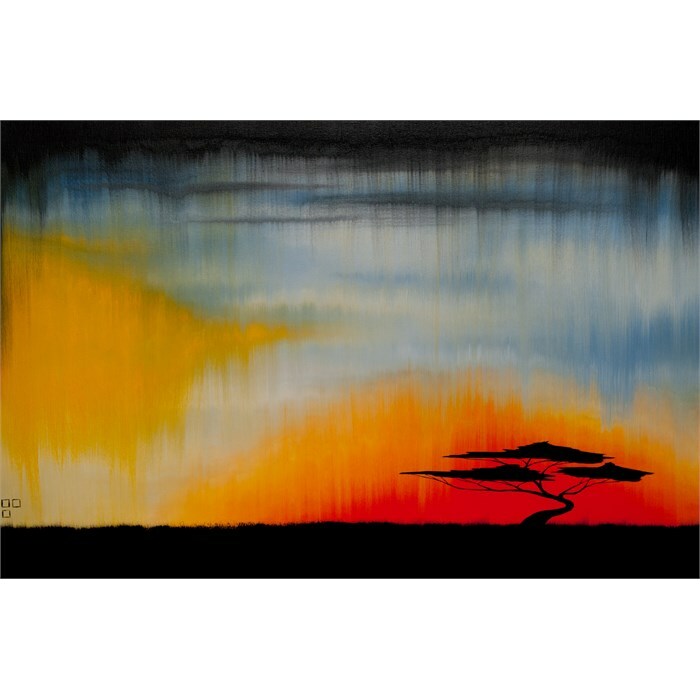 The original painting is featured in the first ever evo winter catalog for the 2011/2012 season and was auctioned in support of Big Brothers, Big Sisters. All proceeds go to BBBS. This limited run of Giclee prints each measure 20"x30” and are printed on Lustre photo paper. The print has all the tonalities and hues of the original painting with an archival certified, optically clear UV coating to protect and preserve the print.